I made this photo of my friend Kenneth Jarecke on a recent shoot. Ken is an amazing photographer, without a doubt one of the best photojournalists in the world. I’m very grateful to have him as a friend and mentor. Recently, Ken and I have had a blast working on a personal project that will be exhibited at the Billings Art Walk on May 2, 2014. Stay tuned for more info on the project soon! 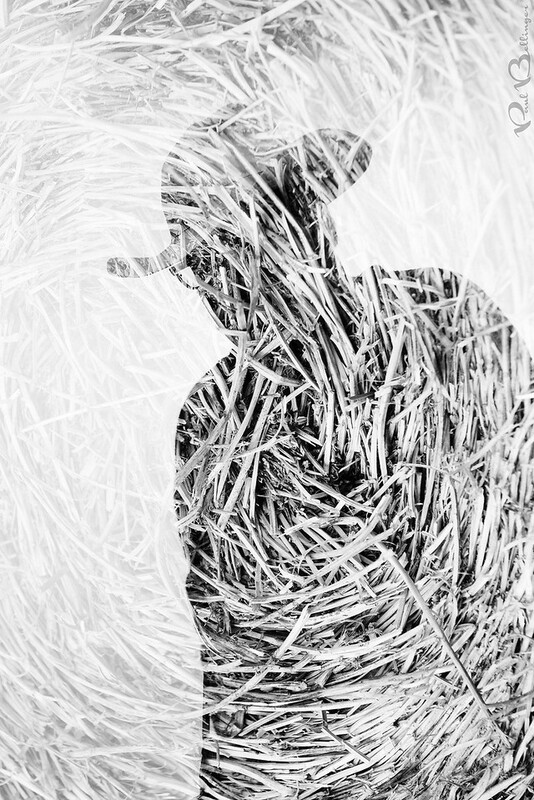 Tip for photographers: This is a double exposure with one dark exposure of Ken in his cowboy hat, and one even exposure of a close-up of the hay bails we were shooting on. There was no photoshop required other than the black and white conversion. MONTANA WEDDING PHOTOGRAPHER – BLING!